I'd like to introduce something a little different today. If you've followed my blog for awhile, then you know that I recently moved. The most exciting part about my new house is that I'll have a room dedicated to all things polish...aka "The Polish Room"...or as my husband refers to it "The Mani Cave" (Get it? He's quite funny.) This room will also act as my office (snore) and craft room (yeah). I'm super excited because I'm literally starting from scratch. Now since my hubby would like to have a dining room table and maybe a new mattress before I start on the TPR (the nerve of him), I've agreed this room will be strictly DIY on a low budget. I've added a link at the top of the blog which will sort all posts related to the TPR so you can see my progress. I don't know if it will take me months or years to complete - but I don't mind. Decorating is the fun part anyway! Each week, I'll dedicate one post to the TPR. So to start, I thought I'd show you some "before" shots. Here's the room (we have a bed in there now). 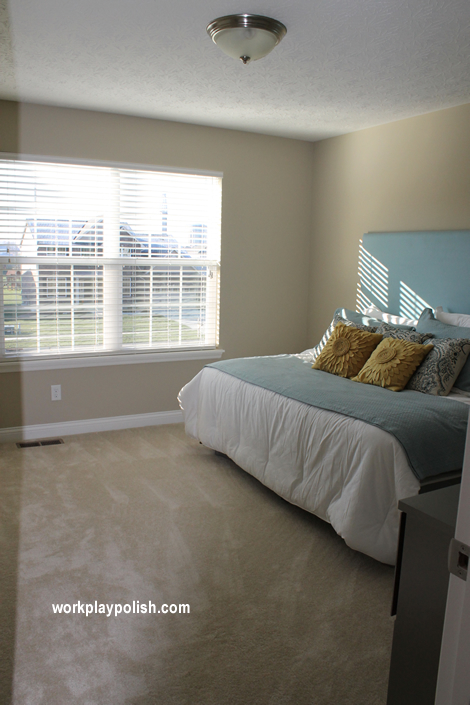 It's a good sized room with lots of natural light. We are still in the "unpacking" stage at the new house, so not everything is out. My polish is currently stashed in a corner of the office with a makeshift mani station. I've outgrown my racks and now have more shoe boxes full of polish than I care to admit. So polish storage will definitely be a priority. I like to have all my polishes out where I can see them, so I have a few ideas for a novel wall system in the new digs. 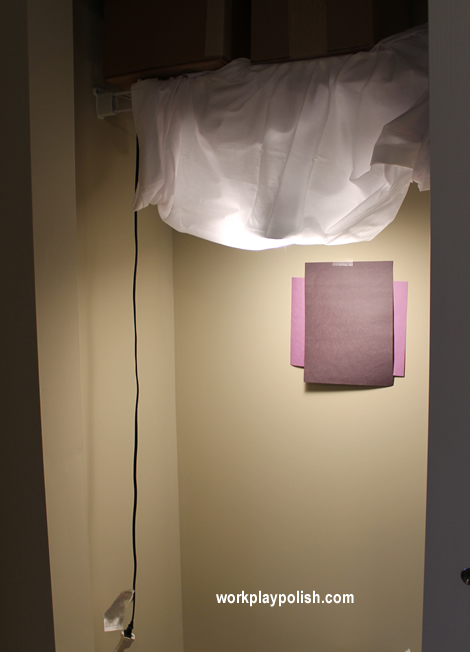 And here's my rigged "lightbox". I actually really like how this works. It's very functional. It's a large silver domed clamp housing with a daylight bulb. I just clamped it onto the closet rod and draped a white sheet around it to soften the glare. My high end background is a piece of construction paper taped to the wall! I stand when I take my pics. I use a Canon Rebel T3. I've also customized all of the camera settings for my setup (pics are too warm using the auto feature...even with the daylight bulb.) Anyway, I plan to recreate this setup in a more permanent way in the The Mani Cave closet. 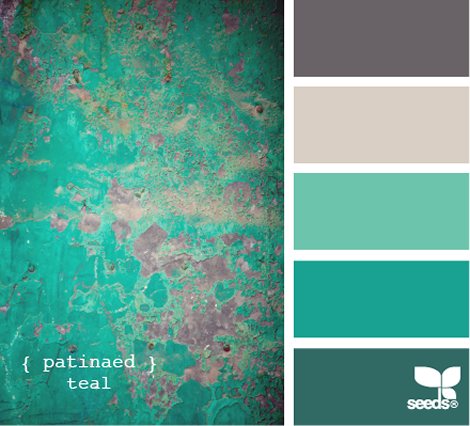 And just so this post isn't completely colorless and boring...here's one of the color palettes I've been drooling over. What do you think? Maybe with a pop of pink? I need help! If you have any awesome pics of your own polish room or a neat idea you've seen someone else do...please share them with me! Leave me a comment, email me at workplaypolish@gmail.com or post them to the work / play / polish facebook page.